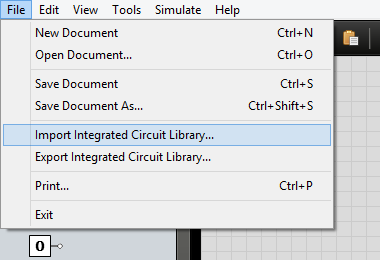 With Logicly 1.5.0, you can now export your document’s integrated circuits to a file and import them into other documents easily. Just look for the new import and export items in the File menu. This update makes the ability to share ICs across documents much more discoverable, and it improves the workflow greatly when you want to share your ICs with other people. As always, this release includes various performance enhancements and bug fixes. Update to Logicly 1.5.0 today! Is the file format for Logicly documented anywhere? I’d love to be able to use scripts to generate some more complex circuits (as files), then load them into Logicly.